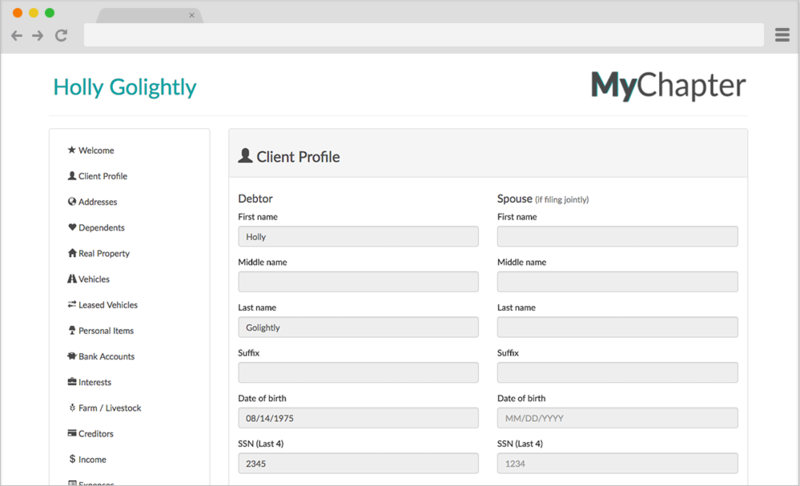 Save hours of time on each case with MyChapter, the online debtor questionnaire for attorneys and their clients. 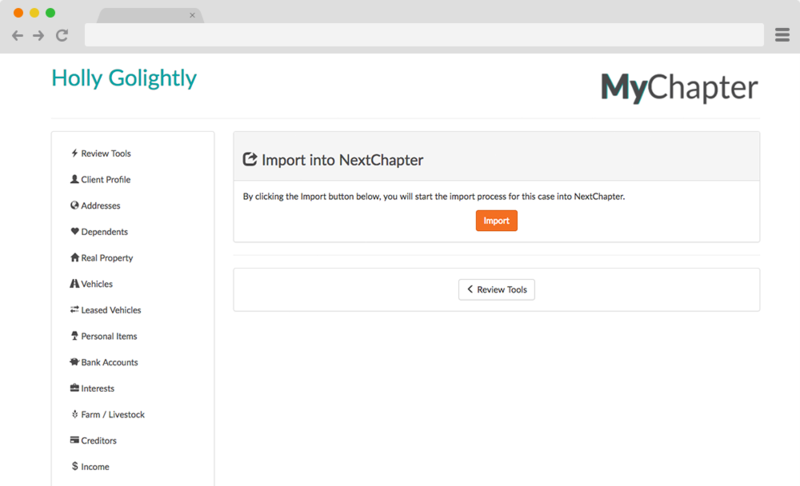 MyChapter is web-based, easy to use and imports directly into NextChapter®. You and your clients have unlimited access to the debtor portal. Invite and import as many cases as you would like. MyChapter is 100% cloud-based. Clients can access the portal and enter their information on a phone, tablet or any device, at any time. 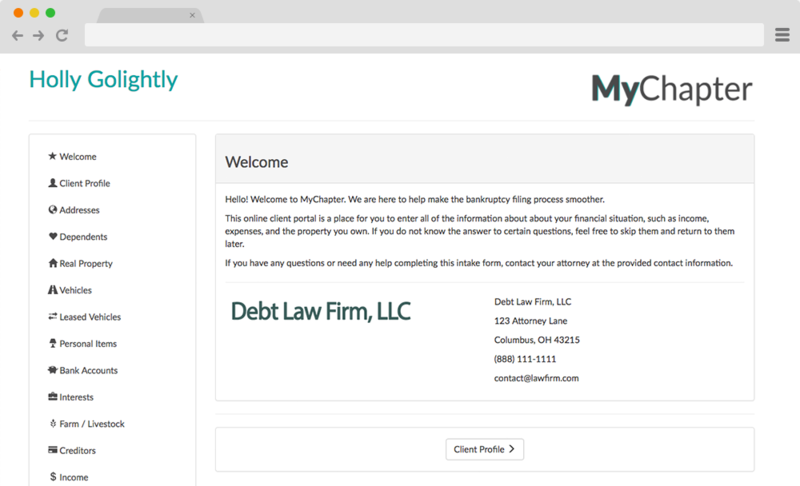 Customize your debtor portal by adding your law firm logo, welcome message, and contact information. Clients can seamlessly upload documents necessary to prepare their case and it will be imported into NextChapter®. Easily change all lowercase or uppercase text to proper case with the click of a button. Additional data cleanup tools coming soon. Import the client questionnaire directly into the case in NextChapter®. 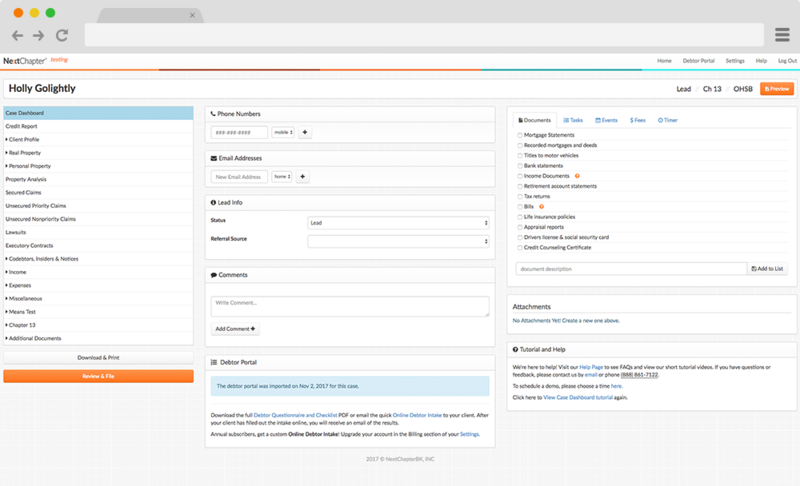 Even after import, you will always have access to the read-only portal. 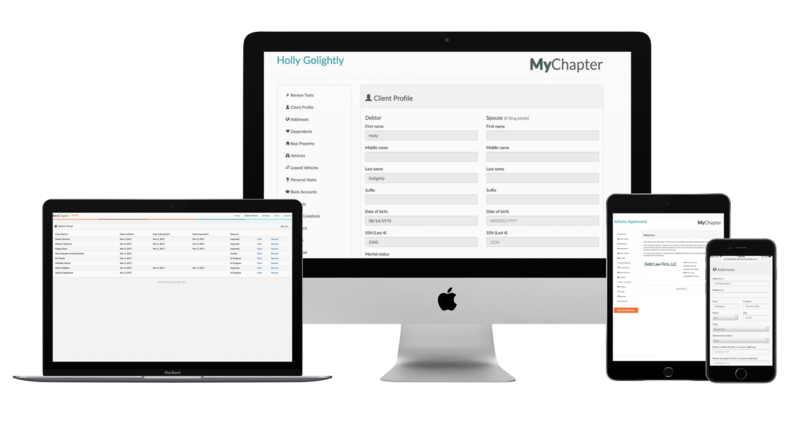 Purchase MyChapter as an add-on through your NextChapter account.